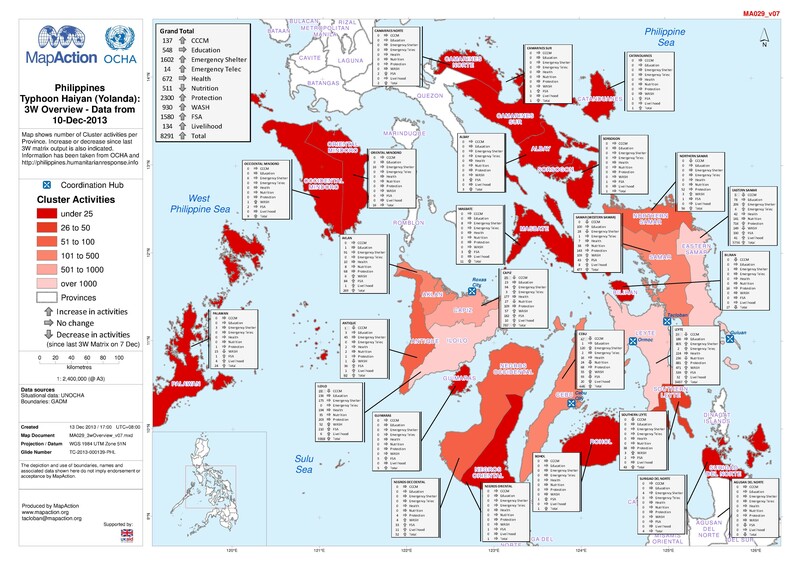 Please be advised that datasets may not be complete, based on the 3W data as reported twice weekly.Map shows 3W for: Eastern Visayas. 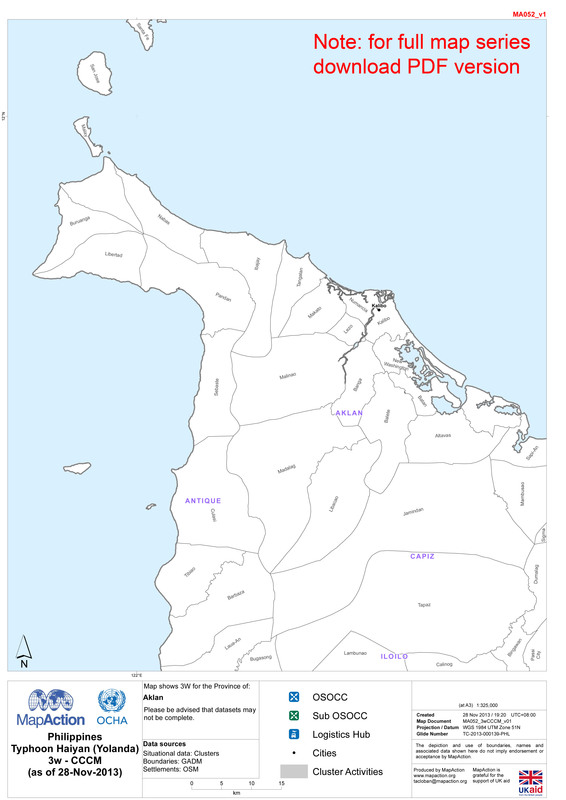 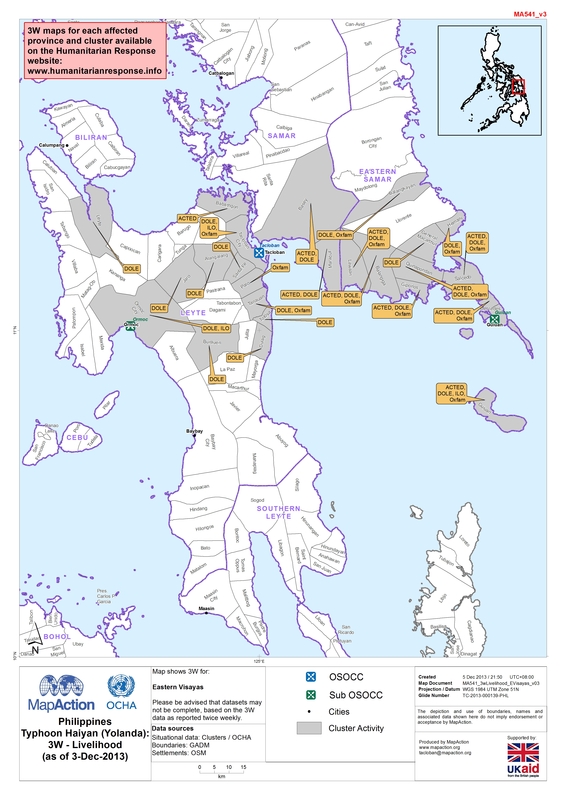 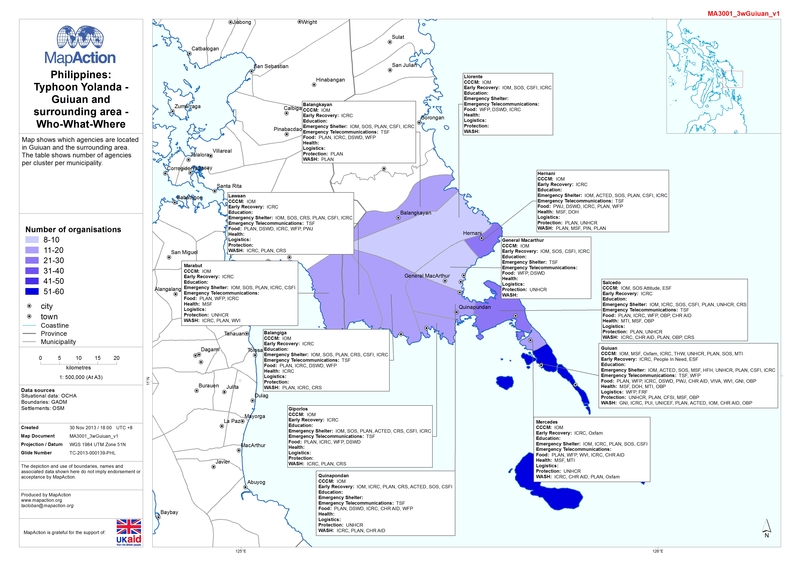 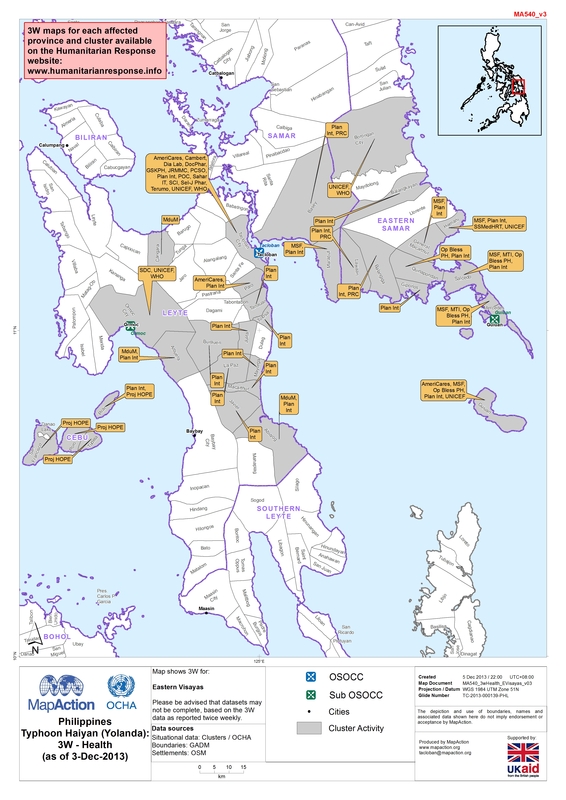 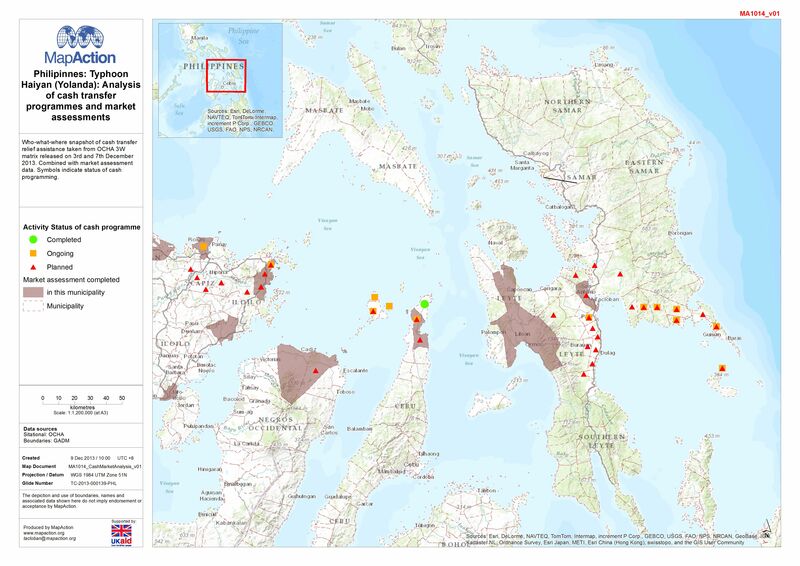 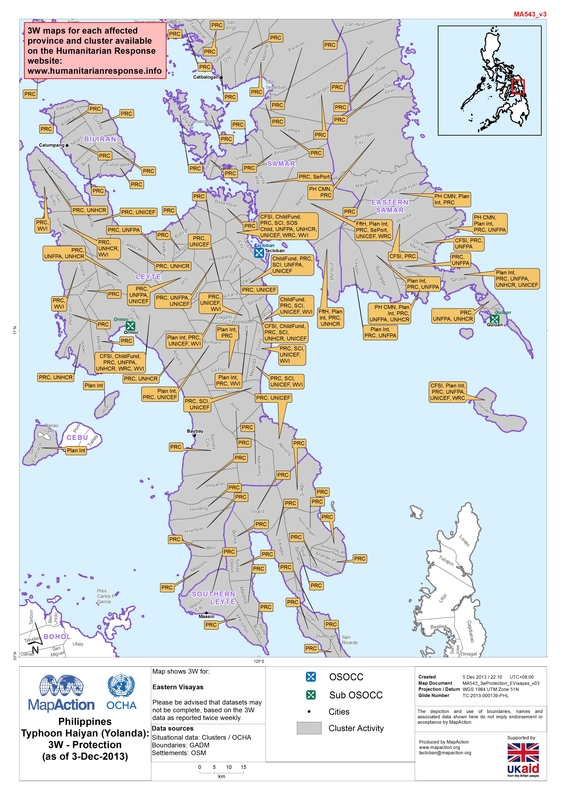 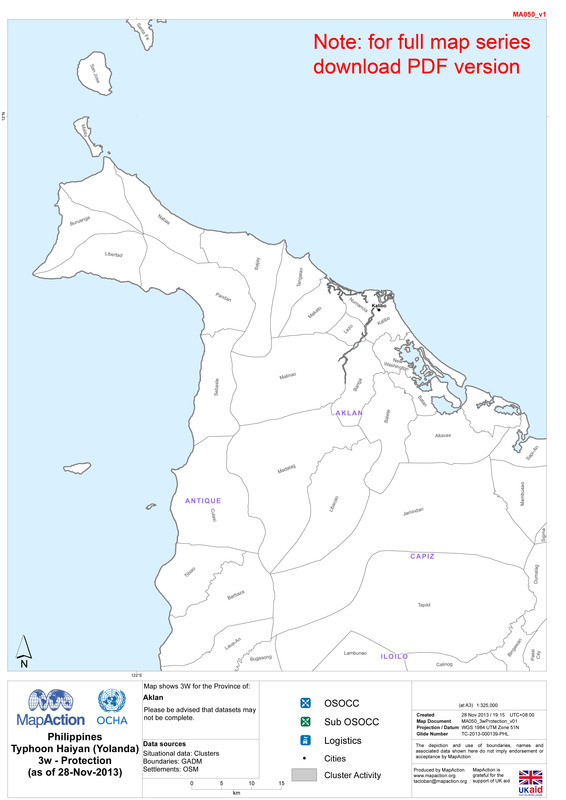 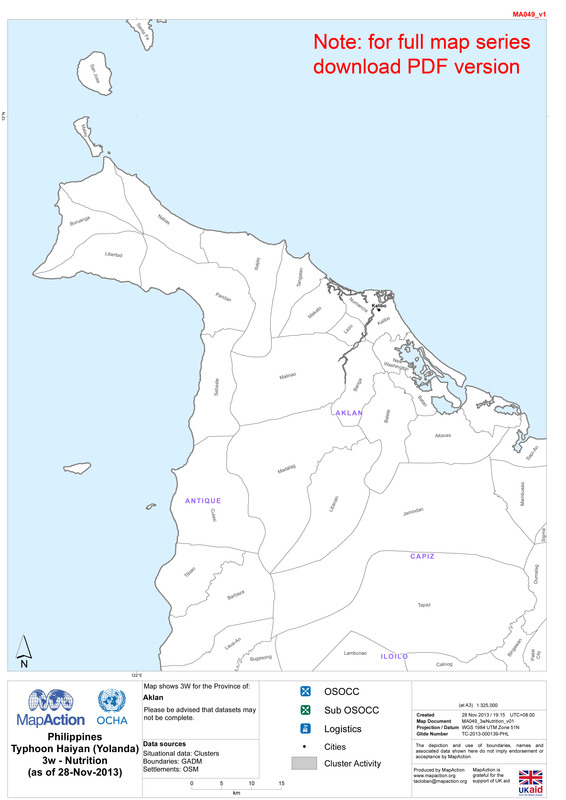 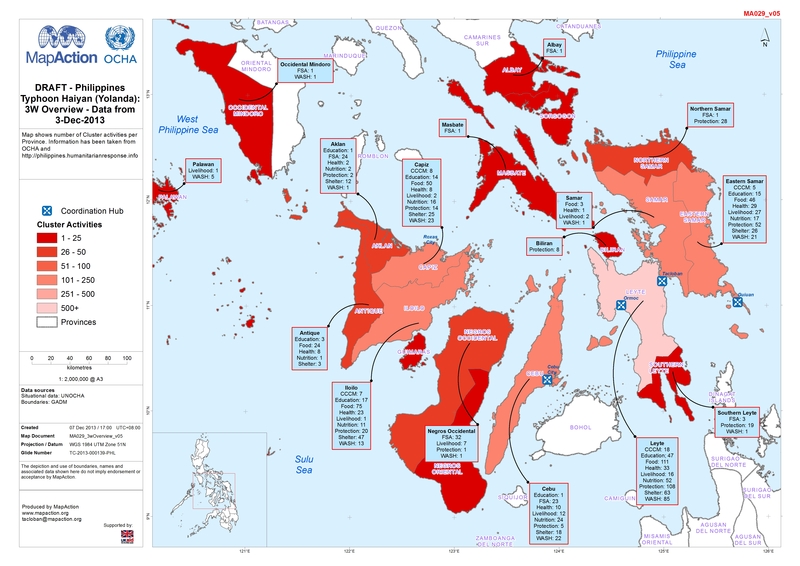 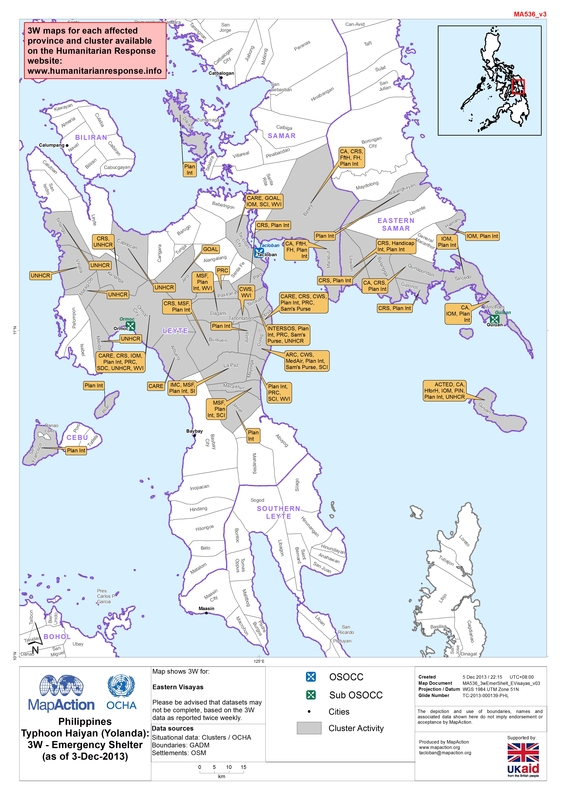 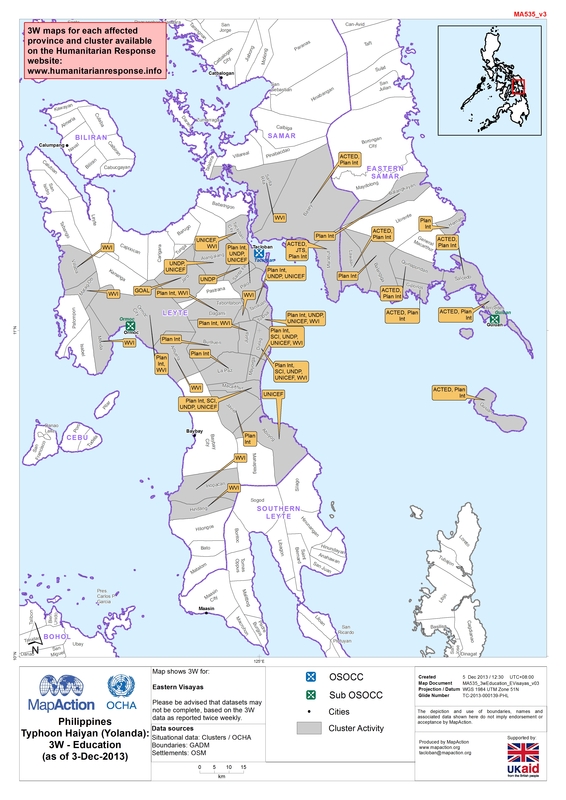 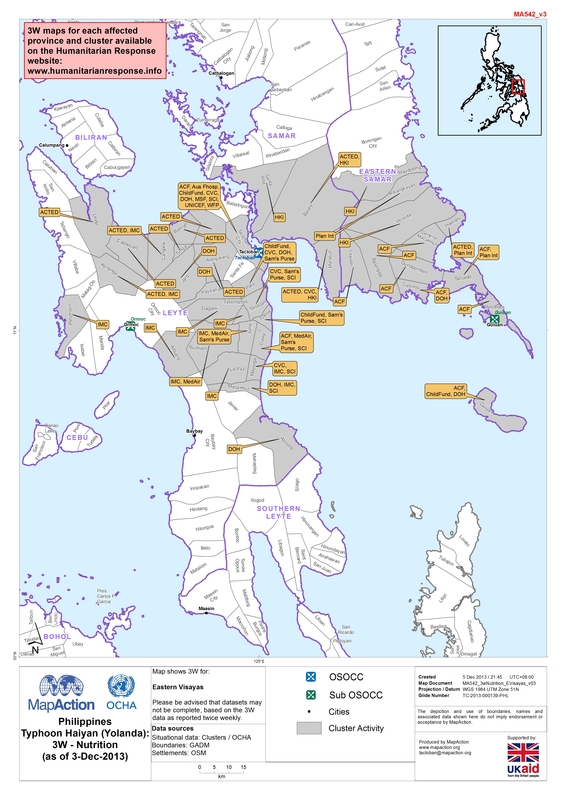 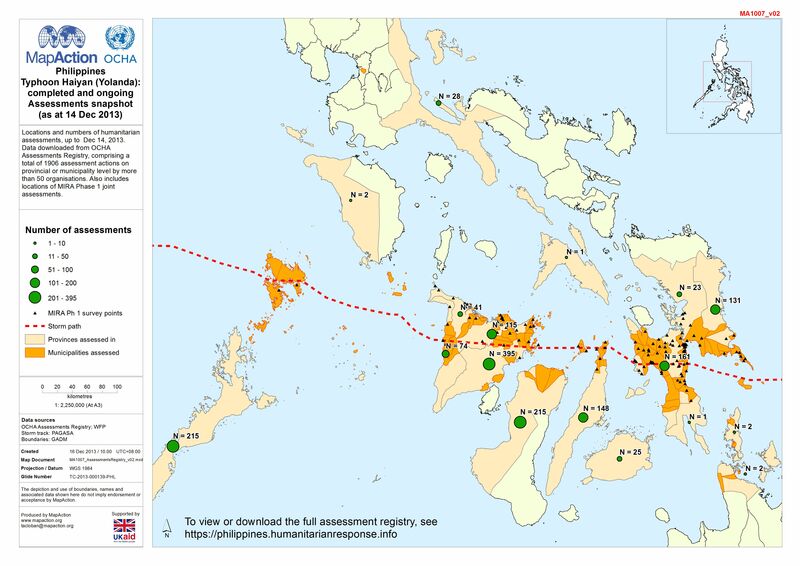 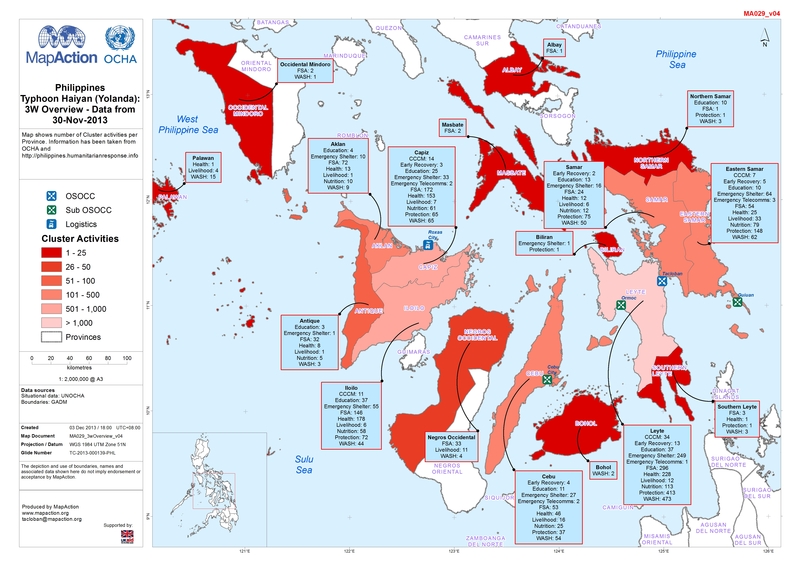 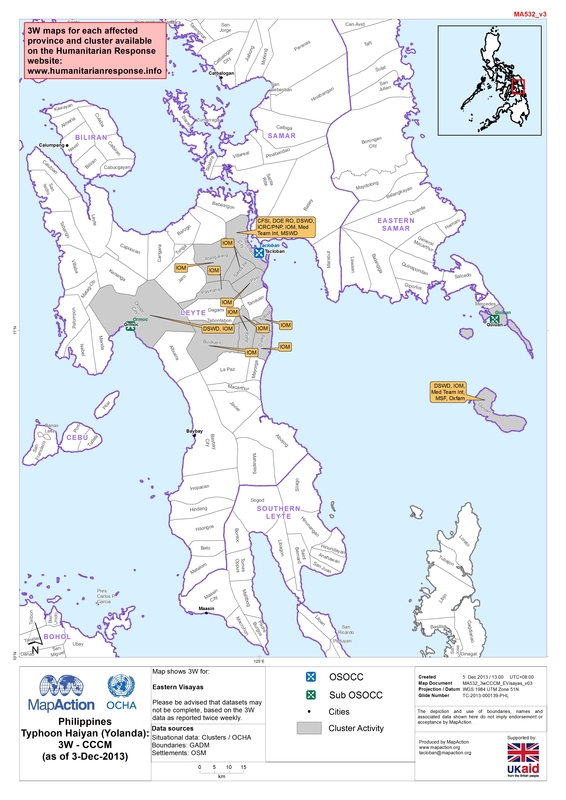 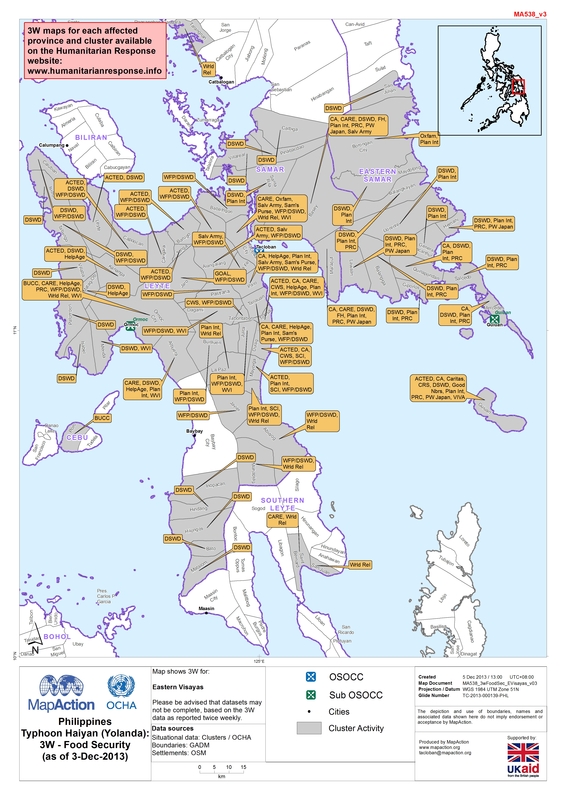 Map shows which agencies are located in Guiuan and the surrounding area. 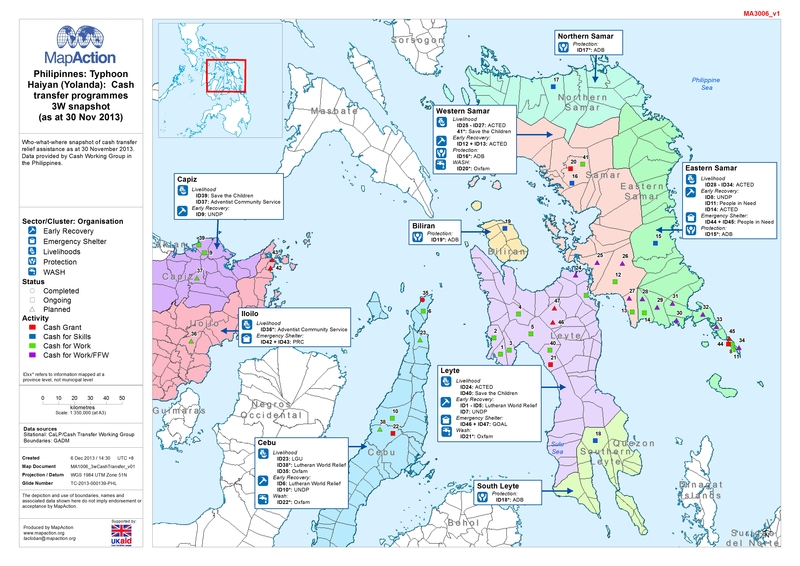 The table shows number of agencies per cluster per municipality.